On Friday night, I had the thrill of connecting with my old buddies, Tim and Jason, for a night of glee and joy. We spent the first couple of hours doing some male bonding/psychotherapy sessions. 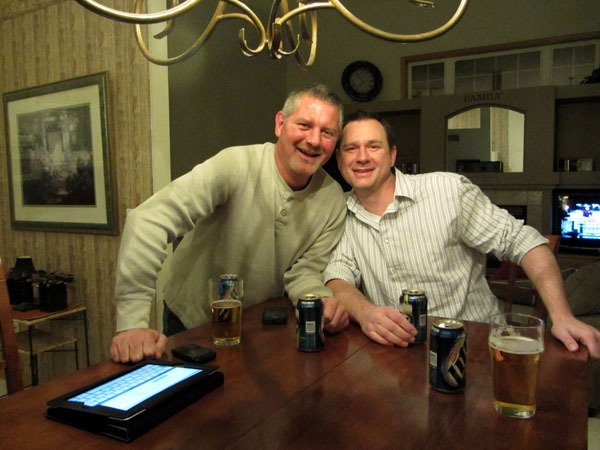 Then we went out for a night on the town in the bustling metropolis of Lakeville, Minnesota. Unfortunately, the guys denied me the pleasure of posting any photos of our evening's activities, but they did take video of my favorite part of the evening. So I guess all is good. Here's me singing Gotye! On Saturday, it was really too cold to do anything but stay inside, but the boys and I figured we had to do something to get some fresh air. 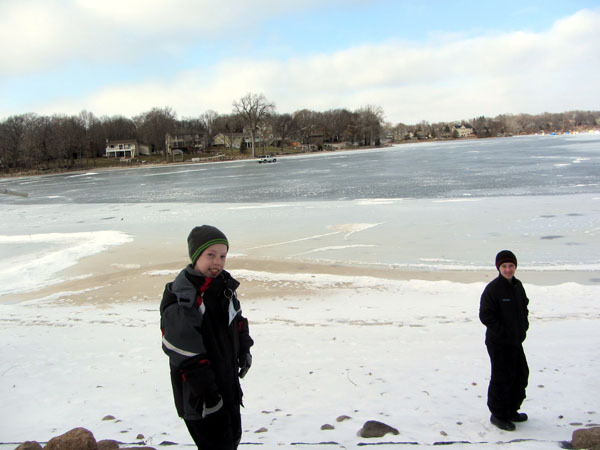 So we walked over to Prior Lake to see what was happening! It warmed up earlier in the week and rained for a couple of days, so all the snow was melted off the lake. 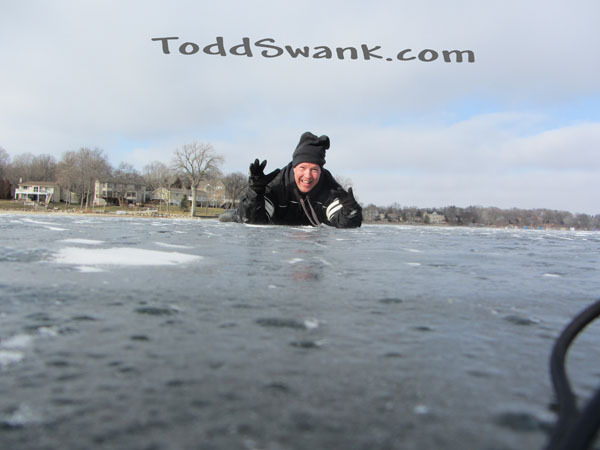 When it refroze, it made things just a little bit slippery. We thought it would be fun to walk Sunny out to the ice houses and see if anyone would let us in. Unfortunately, Sunny had other ideas. 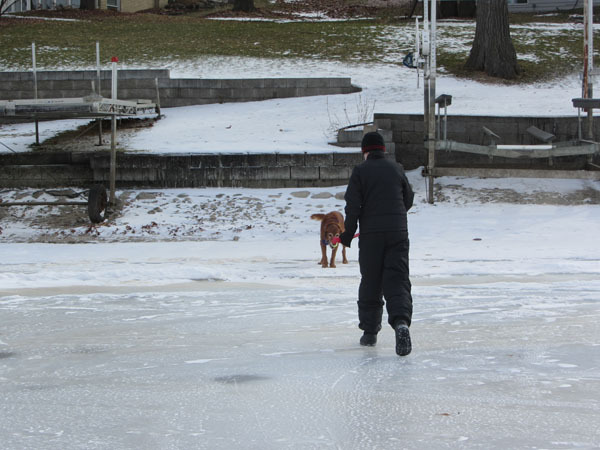 This dog normally lives on the lake regardless of the weather. 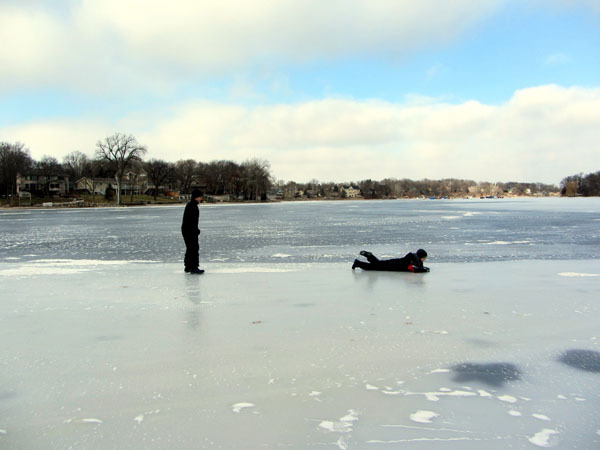 I usually have to drag him off the ice or out of the water because he never wants to go home before I do. But something was different today. Next time I'm just going to drive Sunny out to the ice houses. Oh who am I kidding. I'm way too chicken to drive on the ice!